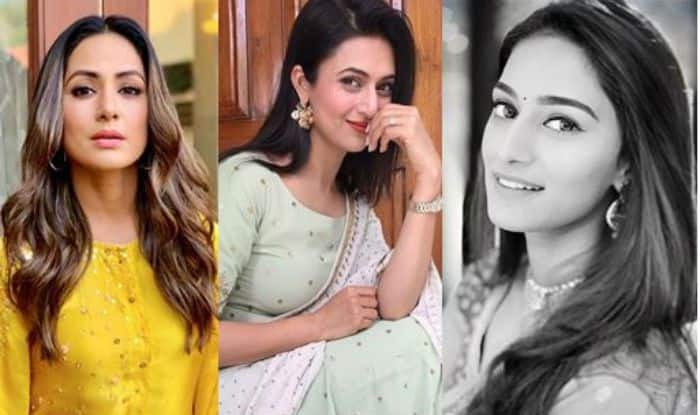 Hina Khan, Divyanka Dahiya, Erica Fernandes share a message that they are kidnapped. See here. Where everyone is going gaga over Nick Jonas and Priyanka Chopra’s wedding pictures, television actors Hina Khan, Divyanka Tripathi, Vivek Dahiya, Erica Fernandes, Parth Samthaan, Anita Hassanandani and others post a cryptic message on social media which is creating buzz. The post shows a black picture with a message written “Mera aparan ho gya hai”, meaning I have been kidnapped. Well, we are not joking! The actors have seriously posted this. To which Ekta Kapoor replied, “I hope ur safe luckily I have my mobile! Its dark here but I can here temple Bells! I think we r up north! U.P side… Maybe HARIDWAR?? ?” But, later Ekta Kapoor too, took to social media and wrote, she too has been kidnapped. She wrote, “Wanted to save my actors parrrr mera bhi apharan ho gaya hai!” Fans are in a tizzy and want to know as to who has kidnapped their favourite stars. There seems to be much curiosity on social media with these actors going missing all at the same time. Everybody wants to know what happened. Well, we are aware of how Ekta Kapoor takes her promotions seriously. This stunt was taken to promote her upcoming web series Aparahan, which features Arunoday Singh and Mahie Gill. This strategy was used to promote the show. Watch the space for more updates!